The family became a political arena, a practical terrain for creating the Republic in day-to-day life. 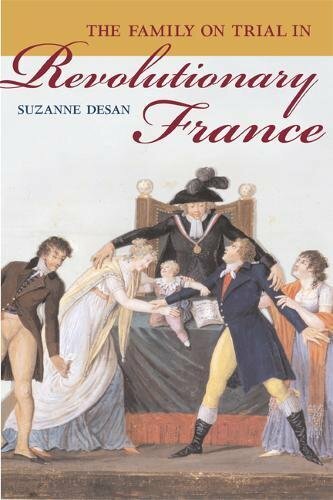 From 1789, citizens across France―sons and daughters, unhappily married spouses and illegitimate children, pamphleteers and moralists, deputies and judges―all disputed how the family should be reformed to remake the new France. They debated how revolutionary ideals and institutions should transform the emotional bonds, gender dynamics, legal customs, and economic arrangements that structured the family. They asked how to bring the principles of liberty, equality, and regeneration into the home. And as French citizens confronted each other in the home, in court, and in print, they gradually negotiated new domestic practices that balanced Old Regime customs with revolutionary innovations in law and culture. In a narrative that combines national-level analysis with a case study of family contestation in Normandy, Desan explores these struggles to bring politics into households and to envision and put into practice a new set of familial relationships.